Blues is all about singing and playing the Blues away....not feeling sorry for yourself and complaining about your pain, struggles, misfortune and traumatic life events. 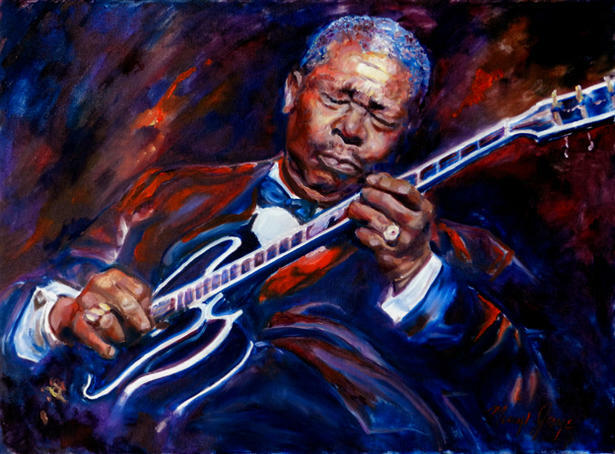 For Blues musicians, trying to make a living doing what they love the most, has a lot of pain, struggles, misfortune and years of paying your dues before getting anywhere near the top of the Blues performing strata that many good and even great acts never achieve. There is no "blues one top forty hit" that can launch a career overnight like there is in pop music, Country, R&B etc... The Blues communities all over the world are more critically discriminating then any other genre. It truly is a long road of the "School of hard Knocks" to get to a level of acceptance and acclaim by your peers. Headlining at Blues festivals is really the pinnacle for bluesmen, yet they still have to play all the big and small nightclub venues to keep their record sales moving onward and upward. But they need to play mostly original blues music with their own unique sound and style, rather than playing all the cover blues songs fans hear every week at blues jams and clubs. Walter Herleman & Howlin Dogma out of Eugene, Oregon are carving out their own lane with great original and authentic blues music. 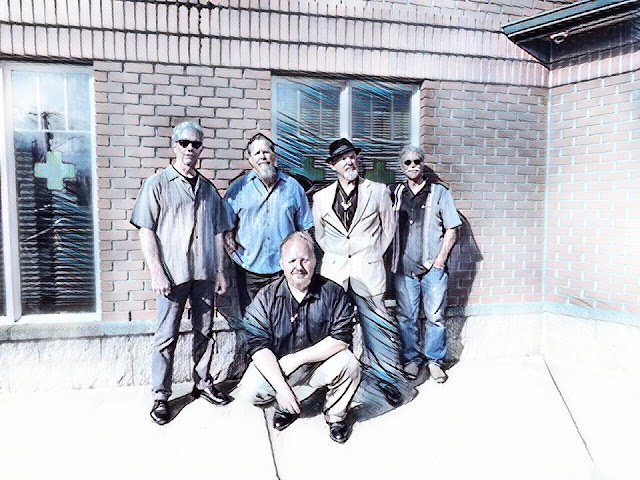 While Walter and wife Vicki have only been in the northwest since 2015, Walter and Band Howlin Dogma are a bright and fresh addition to a rich and storied blues tradition here in the northwest. Walter was born in Hollywood CA, and lived in Independence, Ca until 2015. Walter started singing in church at age 5. Walters first band was in 1981 and fronting his first band by 1983. Walter started writing and creating Music from the beginning. His first album called "All Mine" was released in 2005. "Toke of Rhythm" won best Blues song two years in a row. 2008 for the AMMA's and 2009 for the GMMA's. Walter continued playing music around Mammoth lakes, lake Tahoe, Bakersfield, Death Valley, Eastern California, Western Nevada. His second album "American Music" was recorded in 2013, but not officially released until 2017. Walter recorded the American Music album in So. California at Pacifica Studios. Walter's singing and harmonica skills are second to none. 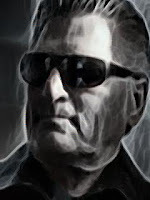 he has put together an allstar blues band with Morgan Cagle, lead guitar and vocals, Charles "Doc" Foreman Rhythm guitar and vocals, James Badalich bass guitar, Danny Miller drums. I have reviewed both CD's and without exception, they are all "top shelf" blues inspired spirits for the soul! Self describing their sound as "Blues based Rock & Roll mixed with a little Pentecostal Swamp-A-Billy...is very apropos. Walter's vocals range from a heavy, powerful bass voice with a steely timbre, to a rich baritone for the jumps and swing centered songs to a lower registered storytelling, then hitting high falsetto swampy hollers effortlessly. His harmonica is one of the best sounding ...not only in skill-set, but also in tone and originality on the blues scene. He actually makes his harp sound like a howling wolf at times...thus..Howlin Dogma ala Howlin Wolf! Walter recently stopped by School of Blues Fri Nite Blues Jam, and tore the house up! Can't ask for a better lead guitarist than Morgan Cagle...I could listen to his guitar all night!The rest of the band are all in a class of their own as well. I first heard this band in a venue that does not have great acoustics, yet they still stood out and impressed me. Both CD's are great, and it's hard to pick a favorite song, but the award winning song; Toke of Rhythm is one I really like. Mystified is another as well as Jinx Jinx. But it's all good! However, we all have our own tastes... so listen to their samples on Reverbnation and go to their website and hear for yourselves and buy their music! Look for their playing dates at venues and catch them live. Great review Walter, congrats to all of you!! Go On with yo bad self! !